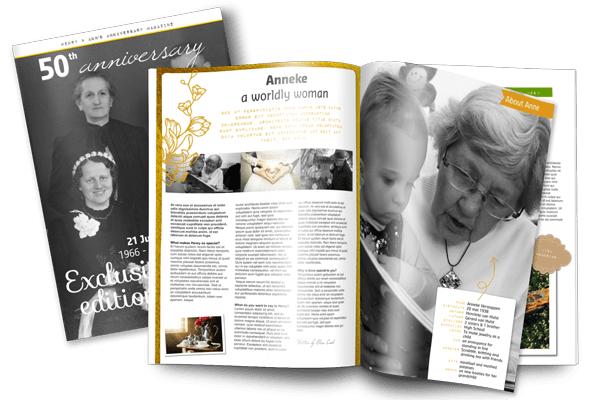 Celebrate more than a birthday; celebrate a life, with a personalised magazine showcasing memories, milestones, and people. Create a gift worthy of farewell. 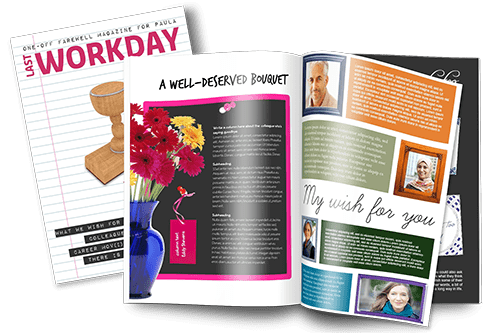 Create a personalised magazine filled with milestones, achievements, and messages from colleagues. Celebrate a wedding the right way; with a personalised magazine showcasing photos, milestones, and memories, made with love by family and friends. Share your message with the world. Create a magazine that showcases your company's latest news, ideas and products. Jilster enables it’s users to create a beautiful magazine. Register for a free account and start making your magazine now. Once your account is activated, you can start a new magazine. After this you can select a page and start editing! Upload your own photos and add your own texts and create your own layout. Alternatively you can use a template. Invite friends and family to create a page too. Is the magazine finished? Then it’s time to order a printed version of your very own magazine. What kind of magazine are you thinking of creating? 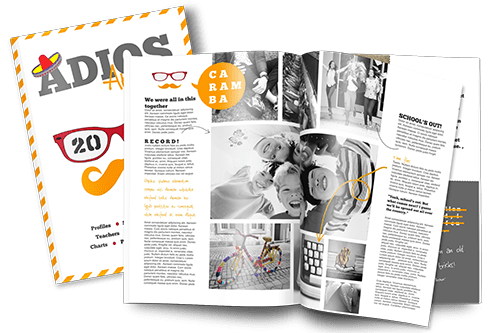 Gather all the images and texts you’d like to add to the magazine. Will it be a magazine for a birthday, wedding, anniversary or a business magazine? 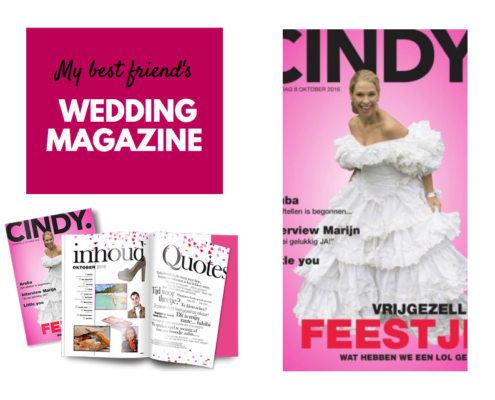 Jilster enables anyone to create a magazine for any occasion. Who would you like to invite? From the online editor you can easily send an invitation to family, friends and colleagues and assign them one (or more) pages to edit. Everyone can then add their own images and texts to the magazine. Now you’re ready to get started on your magazine. 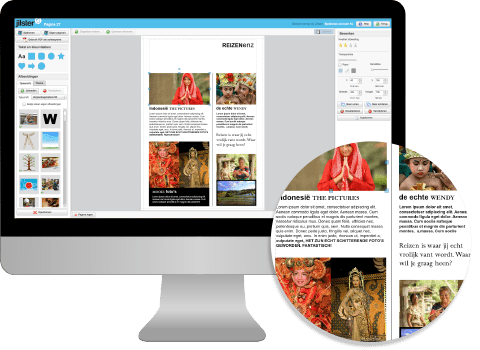 Jilster’s online magazine editor allows you to create your magazine pages exactly the way you want. Add your images and texts and design the layout yourself, or use the templates. 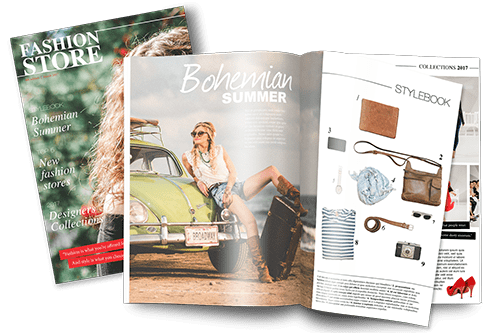 Are you happy with how your magazine turned out? Have you published all the pages and did everyone you invited hand in their pages? Then it’s time to order your printed magazine! It’s also possible to order a sample magazine before you place your final order. 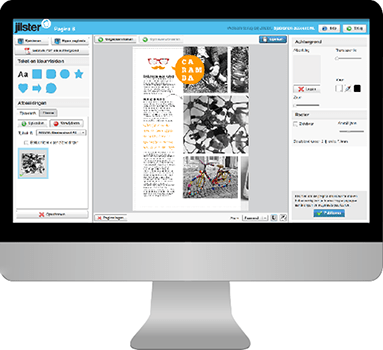 Jilster’s online editor allows you to work on your magazine anywhere! After you’ve created a free account you can get started on your magazine right away. The online editor works inside your browser so you can work on your magazine anytime. If you have access to a computer with an internet connection you can work on your magazine. There’s no need to download any software. 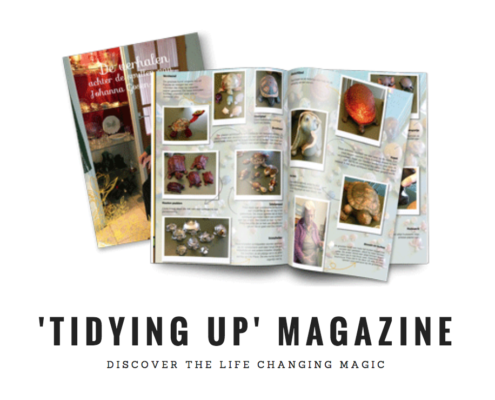 You can create a magazine for any occasion! A magazine is a great gift for birthdays, weddings or coworkers that are leaving. But it’s also a great tool for business. 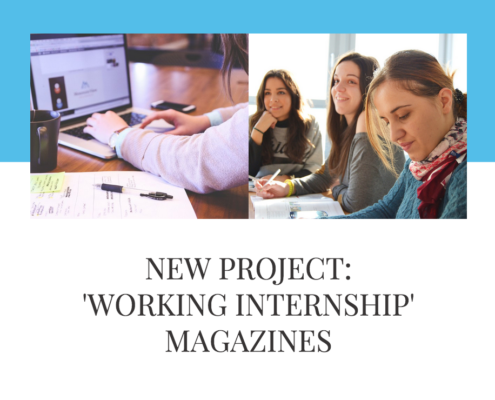 Create a magazine for your company, as an educational tool or as a tool for healthcare.